Can you tell we are a little obsessed with bunnies? We are so smitten with Aida Zamora's new bunny additions for this month! 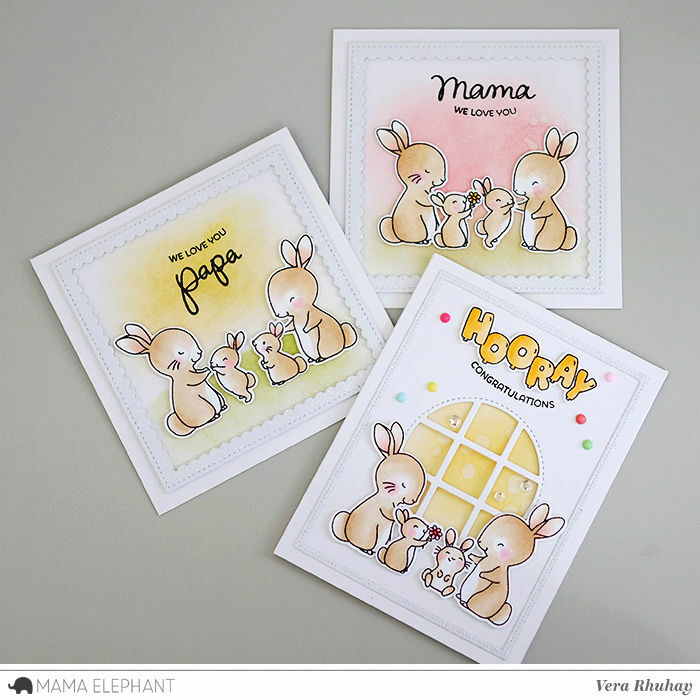 Today we are highlighting the new Hippity Hop stamp set! The Design Team did a great job showcasing these bunnies in heart warming family scenes, so perfect for the upcoming Mother's, Father's and Teacher Appreciation Days! Adorable scene card by Amy! We love how she used the Hillside Cover - Creative Cuts with the bunnies! Look at Vera's set of cards! Cuteness overload! These are perfect for Mother's day, Father's Day and even for a Baby card! 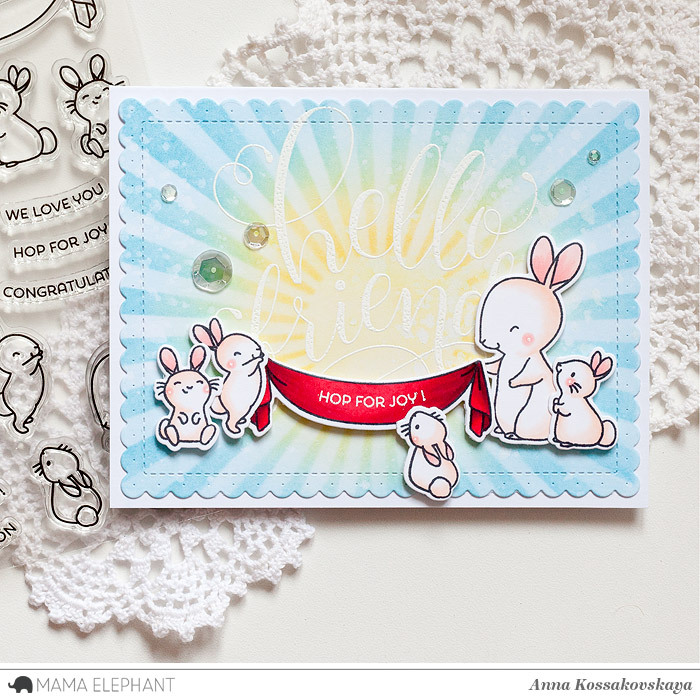 The sun rays makes a perfect accent on the sweet bunnies on Anna's card! Laura used the Basic Circles-Creative Cuts to create this sweet circle shaker card. 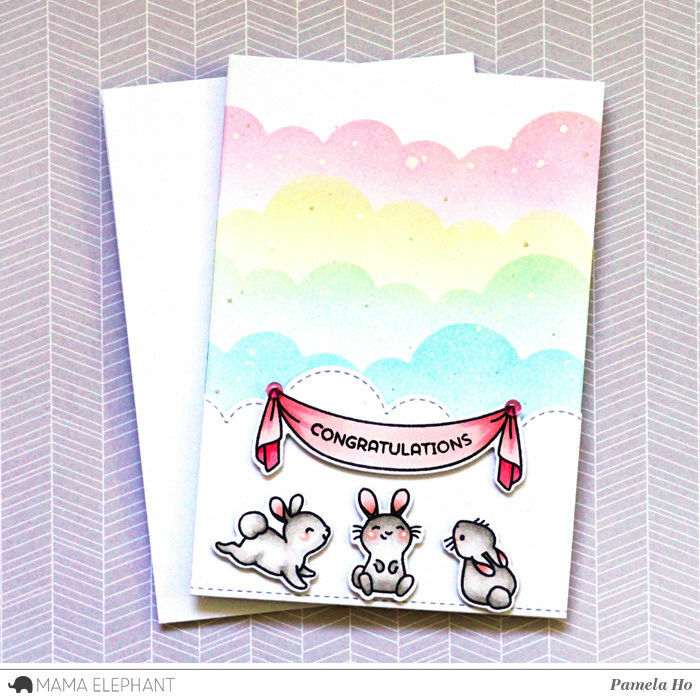 We've got three bunnies celebrating with you in this gorgeous pastel card. Oh these cards are just adorable!! Love the bunnies and the dies! Love the Basic Circles!